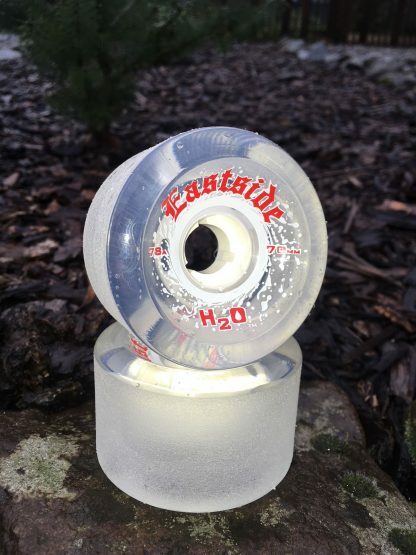 View cart “H2O Clear Wheels” has been added to your cart. The H2O wheel is a super fun all-around soft wheel made to slide smooth with a stoneground finish. The are the same wheels that we make rain wheels from because of the advantages they have to provide grip on wet pavement. 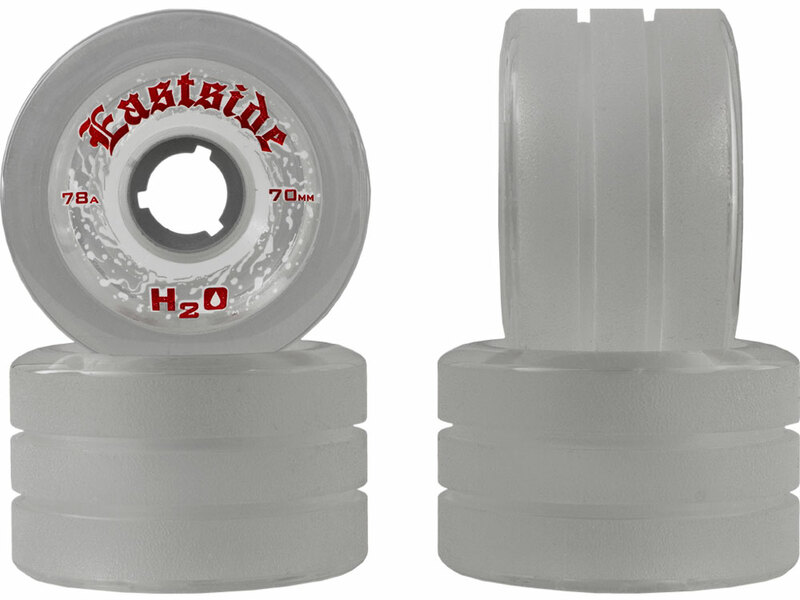 They are 70mm / 78a center set with partially rounded edges and a 44mm width. In combination with the shape of the wheel gives them more predictable slides on both wet and dry pavement. During a slide you can feel them grip up more gradually than sharp edge downhill wheels when you put weight back on them. This is great feel and all around wheel for learning to slide and longboard in general. If you are a fan of dumping thane, then you are stoked! These thane awesome leaving thick white clear lines over dark pavement. 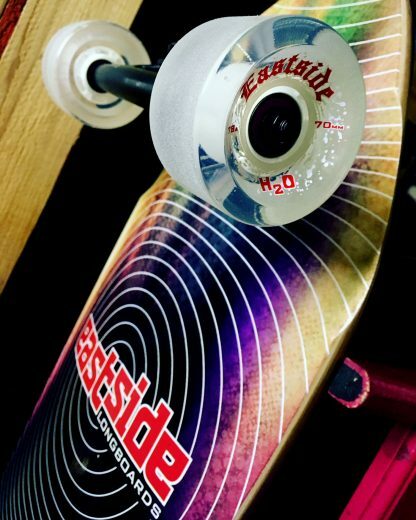 A fun low cost wheel you won’t feel bad about coring someday because of how much fun you had on them! 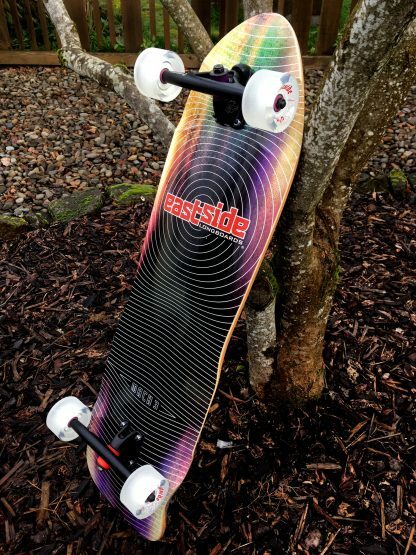 We recommend them for most any longboard.